Gluten Free & Allergy Friendly: Food for Thought: Friday the 13th! Food for Thought: Friday the 13th! 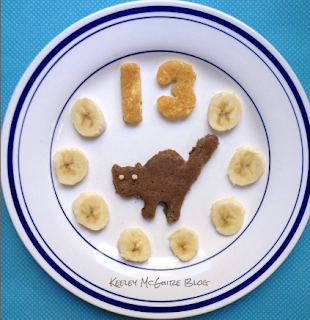 Just a quick post with a fun "Friday the 13th" breakfast I made for Little Miss today. Little Miss has a plain GF pancake that I cut out the number 13 from. I then added a bit of cocoa powder and half a mashed banana to the batter to make her chocolate banana GF pancakes! I cut out a black cat from one of those and made its eyes with my faces cutters and leftover bits from the plain pancake. There are banana slices lining the plate. Very cute! I love that it is an unusual theme for a meal. ~Cute idea for Friday the 13th! How fun! 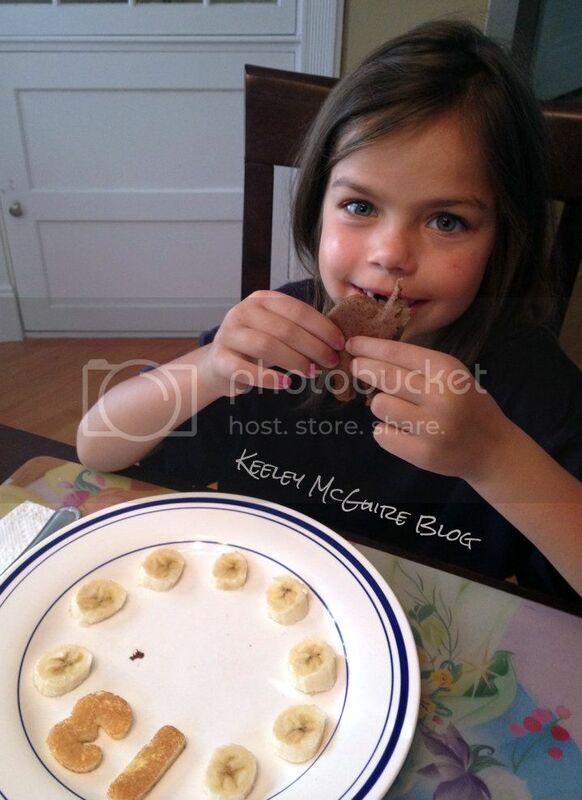 I would have to try cocoa pancake next time for my girl. She loves anything with chocolate.